Please sign our guestbook to let us know that you dropped by, and share some of your favourite Judy Garland memories. In her younger years, she was a superstar in the movies, and she continued singing on stage in the latter part of her life. Judy Garland was a very gifted and multi-talented entertainer who changed Hollywood forever. What was your best moment? love musical ecards, think these are perfect. Just stopped to check the site out. Judy Garland was great in anything she did. 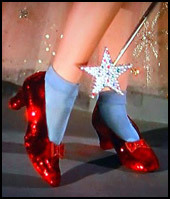 My favorite memory of Judy Garland have to be watching her play Dorothy in The Wizard Of Oz. I have been a fan of Judy since my childhood. 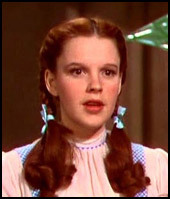 The best moment in my life was when I realized that Dorothy Gale from my favorite movie "The Wizard Of Oz" was a real live person who is Judy Garland. And I have loved Judy for the past 50 years! The Wizard of Oz darling, Judy Garland became the biggest child actress in the world, for her extraordinary performance as Dorothy.